I love the sense of community on here ~ I get a buzz when I get see new faces on my followers list; I get an even bigger buzz when I have see the same faces leaving comments on my blog knowing that they come back to read my posts because they enjoy it. I love the encouragement and support provided by other bloggers on here and I ensure that if I see a new blogger I give them the same support I received when I started out. It makes me sad when bloggers leave comments like, ' Follow me and I'll follow you back.' Blogging isn't about the numbers on your followers lists and how many hits you get everyday, it's about doing what you love. I always make sure that I check out the blogs of people who write on my posts or follow me. I love reading anything and everything. 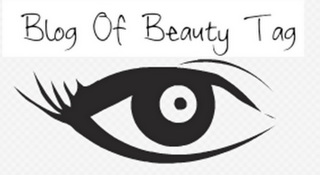 I follow blogs about beauty products, fashion, cooking, life, general musings and baking. I love how diverse this community is. Meeting my all time fave make-up artist, Lisa Potter-Dixon, and my day at Benefit in Harvey Nichols. The Clarasonic (is that even how you spell it? ), it sounds like it does an amazing job! Bit pricey though so it can stay on my wiishlist until they have a 90% off sale.